A busboard designed for A1200's towered with an appropriate tower kit such as the Micronik Infinitiv. 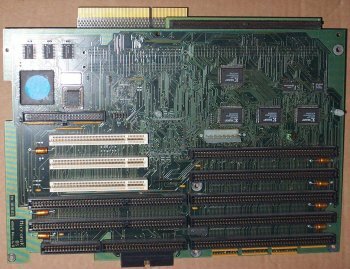 The card includes a CPU Fast slot for fitting A3000/A4000 style accelerators. 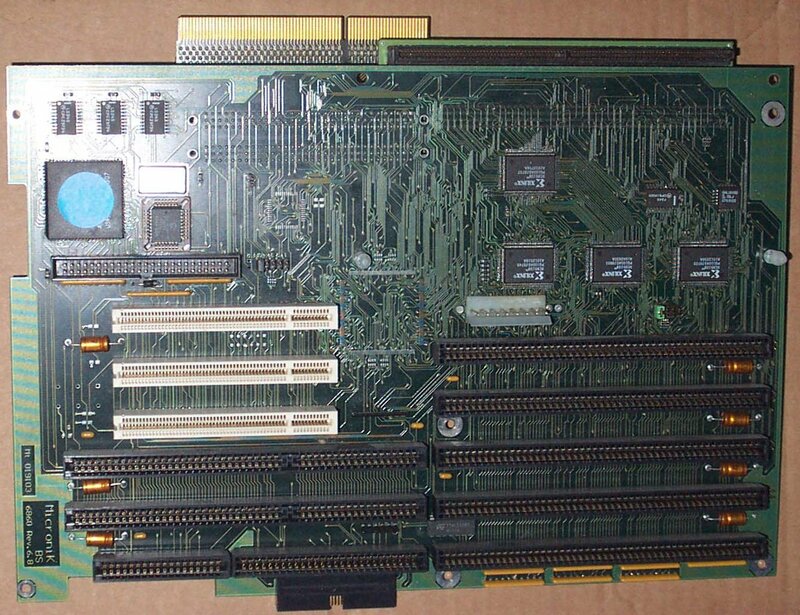 ** If an A3000/A4000 accelerator is used then the Zorro slots are capable of functioning as Zorro III slots, however if an A1200 accelerator is used then they can only be used as Zorro II slots. Please note, that although this board can operate the slots in Zorro III mode, it does not support Zorro III DMA and therefore may not function correctly with cards that require it. It also includes a built in SCSI controller. The video slot requires an appropriate video adaptor connected to the A1200 in order to be useful, and was supplied as an optional extra. The video slot enabler connects to various chips on the A1200 motherboard located at U30, U7 and U8. This board requires at least Kickstart V3.1. It has been reported that this busboard does not like working with Apollo A1200 accelerators, and may not (unconfirmed) like the Toccata sound card or the Piccolo SD64. The jumpers next to the Zorro slots configure the Zorro mode. Closed = Zorro II only, Open = Zorro III. In order to use Zorro III an A3000 or A4000 accelerator must be used. Page contributors: Martina Jacobs, Peter Olsson.